Reunion News, Crab Feed Fundraiser, From the Mercy Archives, and Much More! As far as we know, planning for these reunions has not begun. 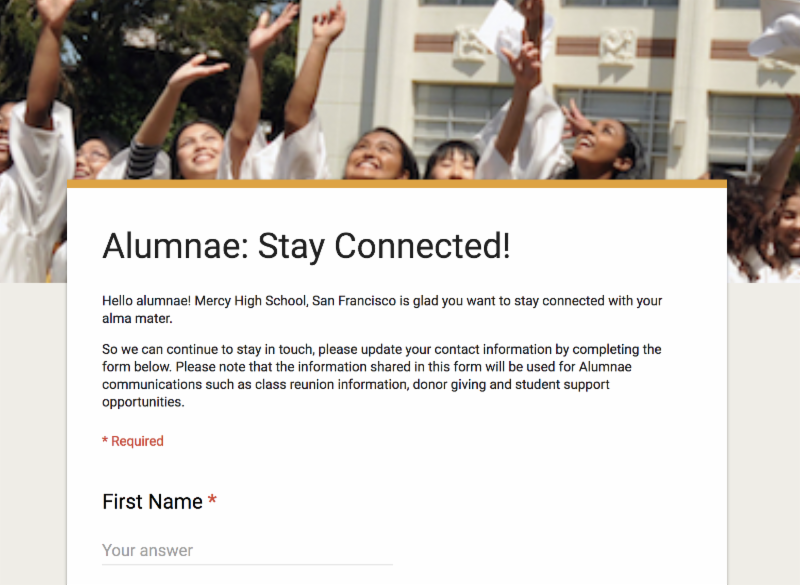 If you would like to join the planning committee for your class reunion, or if you have more information about these reunions, please email Georgia Wasley '09, Alumnae Development Officer, at gwasley@mercyhs.org . 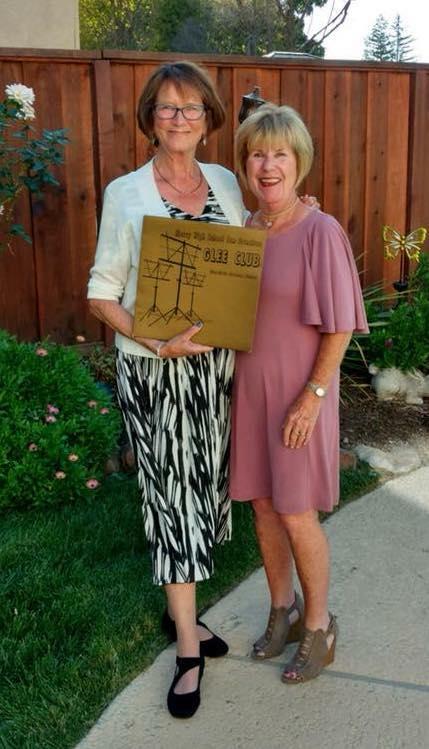 Your 50th Golden Reunion is being spearheaded by classmate, Judy McElearney Nobriga. Please update your contact information with the Alumnae Office by clicking the button below to receive reunion news. We are still missing 45 mailing addresses and 167 email addresses! Please be sure to reach out to your fellow classmates who we might not be reaching. Contact Georgia Wasley '09, Alumnae Development Officer, at gwasley@mercyhs.org . This year’s school theme is Embrace your Roots and students are happy to embrace Mercy’s roots by reviving the longtime Mercy tradition of the Red & White Winter Ball! This beloved tradition first took place in December 1960 when the senior class created an unforgettable event for Mercy girls to celebrate the Christmas holiday season. Over the years it evolved from a senior dance to an all-class dance, giving all students the opportunity to attend a semi-formal dance. The Red & White Winter Ball has not taken place since 2012 so we are thrilled to announce its comeback as we embrace our roots during our 65th anniversary year! The Red & White Winter Ball will take place on Friday, Jan. 5, 2018. We are looking for dance sponsors and people willing to make a donation of food or decor. The more supplies donated, the more affordable dance tickets will be for everyone! 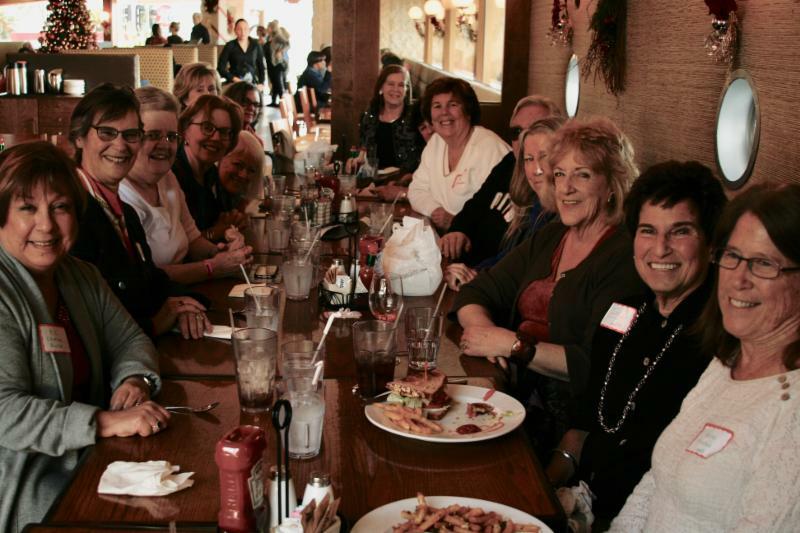 The Alumnae Fall Play Wine & Cheese Reception was attended by members from the class of '66, '86, '09, and '13. It was great to meet fellow alumnae and their family members and was the perfect kick-off to a fantastic production by our students. The Prodigious Snob was a hit! Classmates celebrated the upcoming holiday season on Nov. 28, 2017 at the Boulevard Cafe. ﻿Laughs and smiles were shared by all! Patti McHugh Rames '67 posted this picture to our Mercy Facebook page with the caption: "Wow! I was just in the Mercy Choir '66/'67. Still have the vinyl." 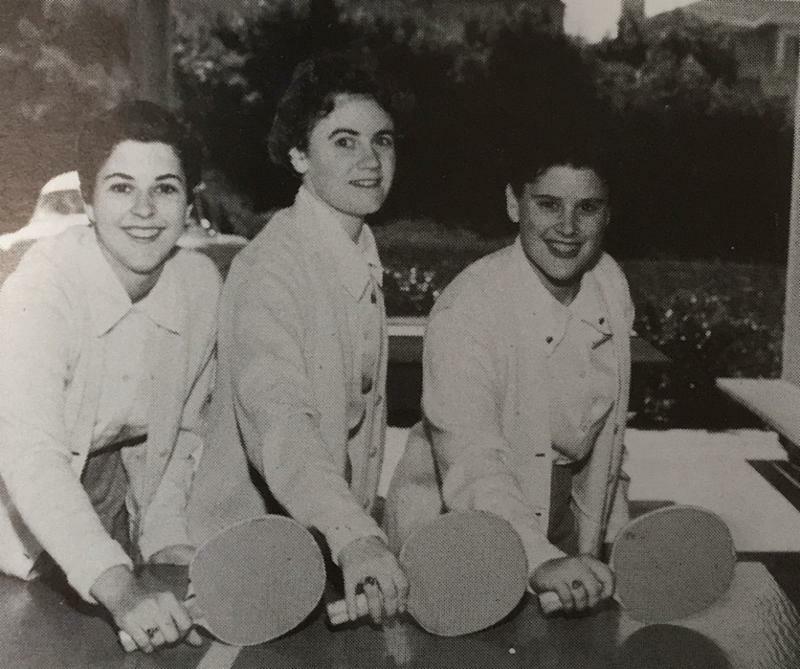 Ping-pong doubles champs, Pat Kelly '59 and Jeanne Arata '59 join forces with Eda Bozo '59. 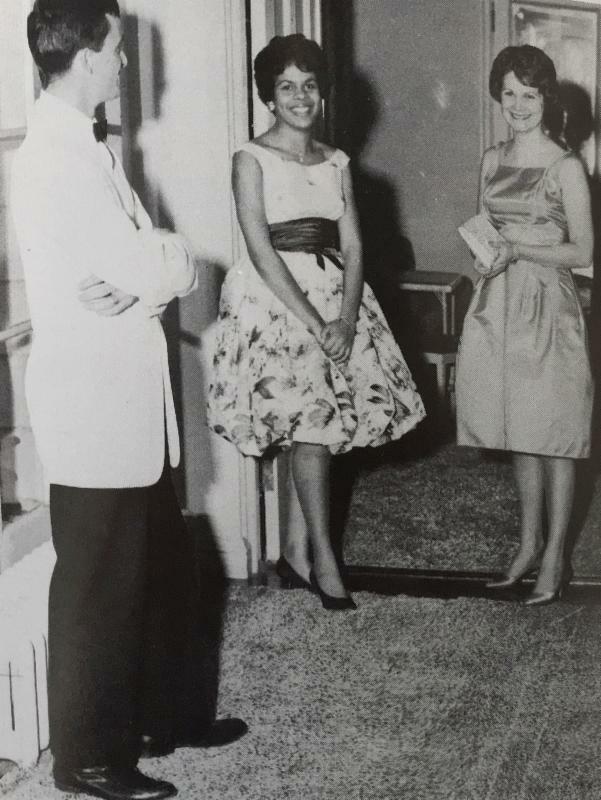 Sandy Jorgensen '61 pauses to introduce her date, Walt O’Dwyer, between dances to Lynette Carter '61 at the Red & White Winter Ball of 1960. 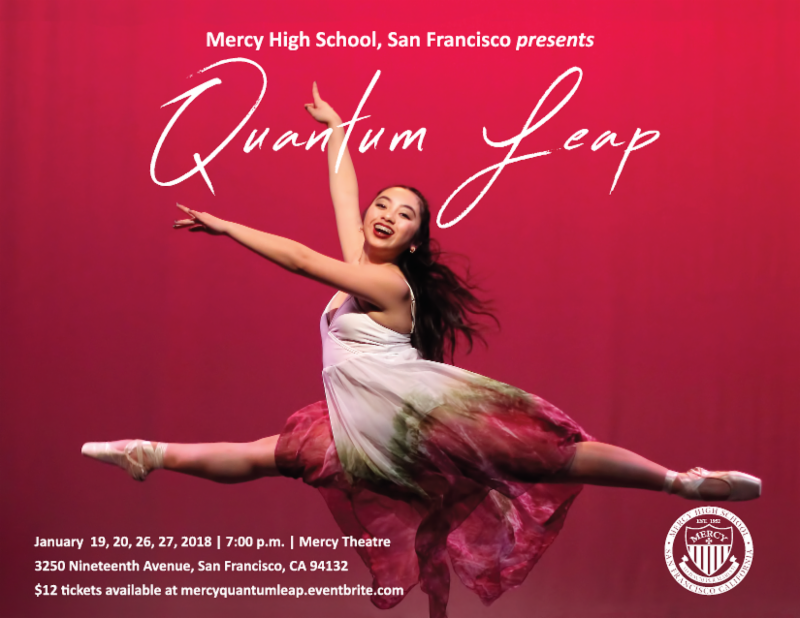 Quantum Leap will have you jumping out of your seats with excitement as 28 dancers from the Mercy Dance Ensemble showcase various dance and music genres. 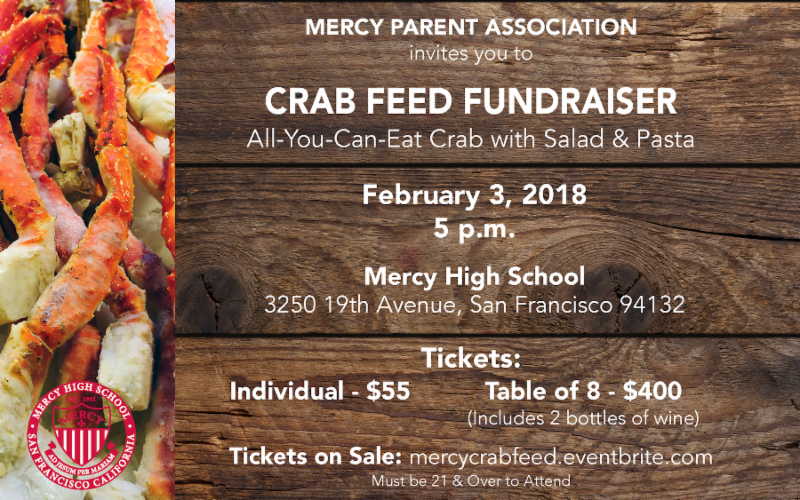 Mercy Parent Association invites you to our Crab Feed Fundraiser with All-You-Can-Eat Crab, Salad, and Pasta. 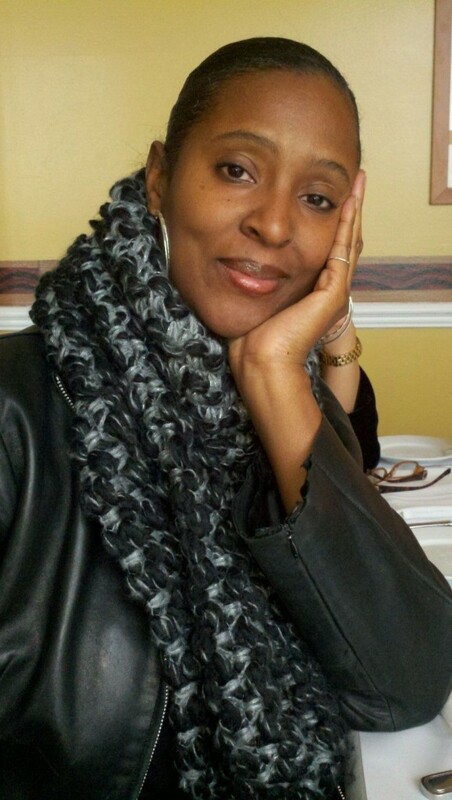 Janine passed away peacefully surrounded by her loving family. 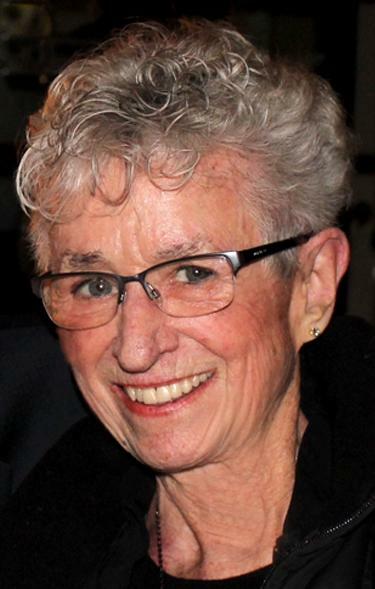 Janine attended Holy Name Elementary and graduated from Mercy High School in 1958. Marilyn attended Holy Name Grammar School ('59) and Mercy High School ('63). Marilyn Studied Photography at SF City College, College of Marin, and SF State University. Vanessa received her primary education at St. Michaels Catholic School and graduated from Mercy High School of San Francisco. She attended the University of California, San Diego and went on to graduate from the University of California at Berkeley. 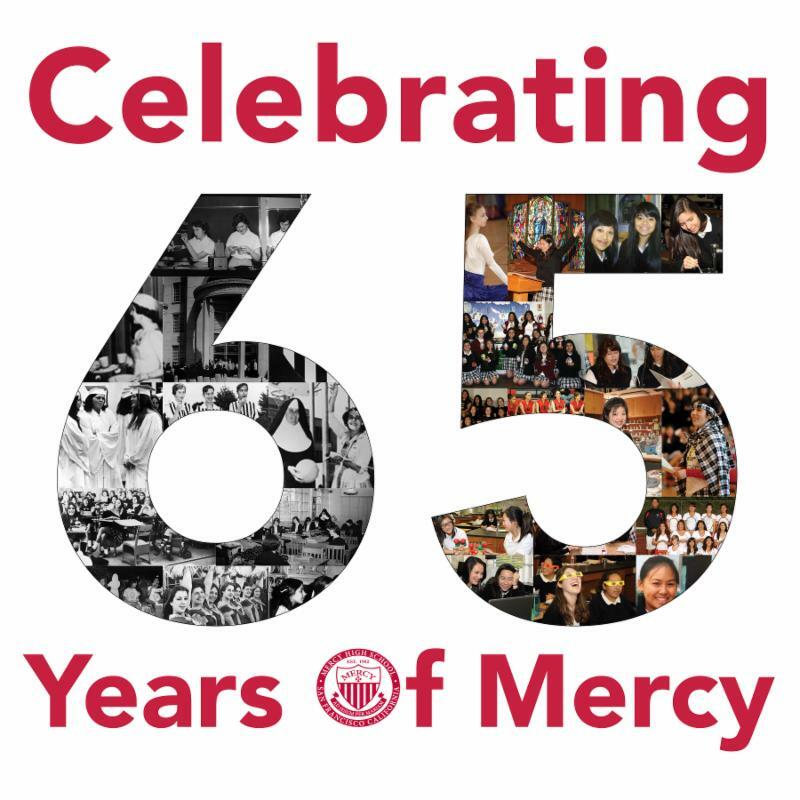 Mercy High School, San Francisco, educates women to pursue lives of spiritual and intellectual depth, determination and daring action to improve our world as an inclusive, college preparatory community enlivened by the gospel of Jesus and the charism of the Sisters of Mercy.